Municipal official, MLA (1943-1945), MLA (1946-1949), MLA (1950-1953), MLA (1954-1957), MLA (1958-1959). Born at High Bluff on 8 June 1899, son of Gardner Greenlay and Eliza Donnelly, he was educated at High Bluff Village School and the Portage Collegiate Institute. He ran a garage at High Bluff until 1930 then worked as Secretary-Treasurer for the Rural Municipality of Portage la Prairie until 1946. On 8 November 1930, he married Gladys B. Northcott (1905-1989), daughter of George H. Northcott, of Portage la Prairie. They had three children: Norma Greenlay (?-1976), Gayle Greenlay (wife of Donald C. Campbell), and Andrew “Andy” Greenlay. He was elected to the Manitoba Legislature at a by-election in November 1943, replacing William Raymond Sexsmith. He was re-elected or acclaimed at the 1945, 1949, 1953, and 1958 general elections. 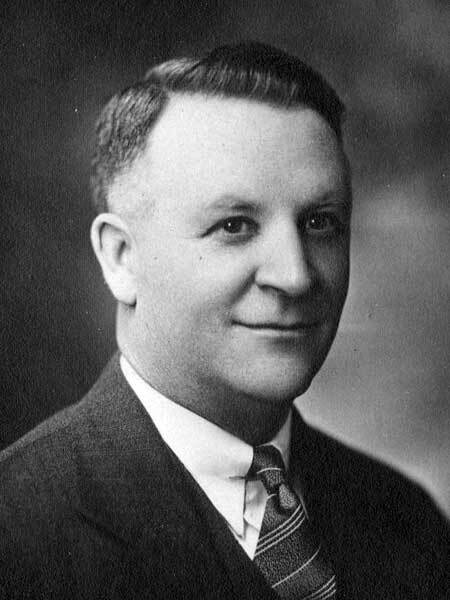 He served as Provincial Secretary in Stuart Garson’s cabinet (1946-1948, 1950-1953), and also was Minister of Labour (1948-1958). Following his defeat to John Christianson in the 1959 general election, he returned to municipal government as Secretary-Treasurer of the Municipality of Charleswood, serving there until retirement in 1968. He died at Portage la Prairie on 27 May 1984 and was buried in the Portage Hillside Cemetery. Obituary, Winnipeg Free Press, 29 May 1984, page 44.